Beatriz Largo-Sayloon, 24, was so excited that she was finally tying the knot with Ruben, her live-in partner of four years. 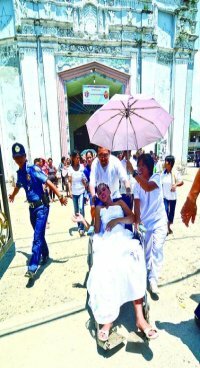 Sayloon and her groom joined 137 other couples who were tying the knot in a mass wedding sponsored by the Naga City Government Monday morning. But she soon had another reason to be excited.